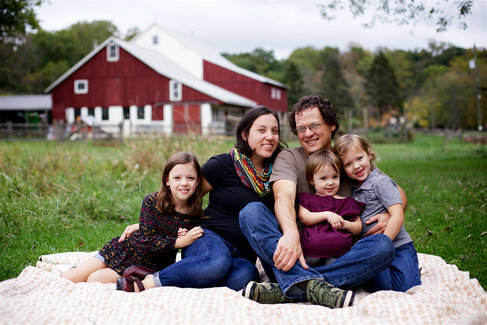 A small family farm located in Newtown Square, PA who grow high-quality vegetables for our community. We believe in the strong connection between food, family, and community. 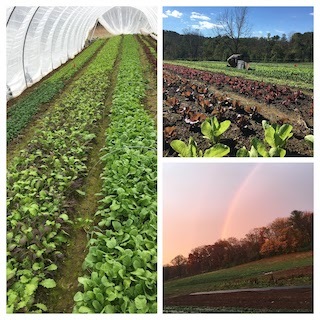 These beliefs have inspired us to practice sustainable farming techniques while striving to provide high-quality food to our local community. 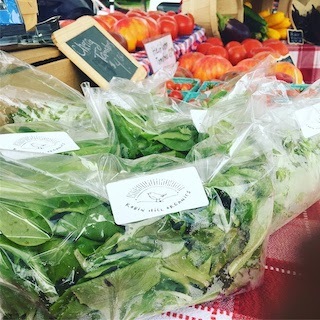 Media Farmers Market - The market is located on Edgemont Avenue, between State and Front Streets - Sundays from 9-1, starting on May 13, 2018. Community Supported Agriculture (CSA), is a unique arrangement between consumer and farmer that is based on a relationship of mutual aid. CSA’s build community around food wherein the farmer and the shareholder share the risks and rewards of farming. The customer pays the farm in advance for a share of the harvest, thus becoming a member or shareholder of the farm. The partnership allows the farmer to provide members with a wide variety of fresh and local produce while receiving much needed early season income. By joining, each member makes a commitment to support the farm and share the costs of production while establishing a connection with the food they eat, the land where it is grown, and the people who produce it. CSAs support small local farms. The CSA model provides small farms the startup capital at a point in the season when they traditionally have no income. Having money early in the season gives the farmer the ability to lock in a price for fuel, and buy materials in bulk which can mean huge savings. Local food tastes better and is better for you. Produce in your share was picked within the past 24 hours, and usually just that morning. It’s crisp, sweet and loaded with flavor and nutrients. Several studies have shown that on average, food travels 1,500 miles to get to your plate, where it loses vital nutrients along the way. Locally grown food, purchased soon after harvest retains it nutrients. Local food builds community. When you buy direct from the farmer, you are re-establishing a time-honored connection between the eater and the grower. Knowing the farmer gives you insight into the seasons, the weather, and the miracle of raising food. 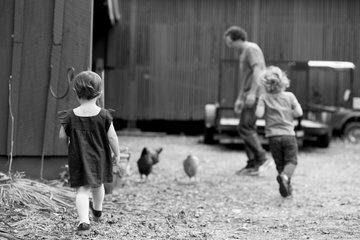 When you pick up at the farm, you have access to the farm where your children and grandparents can go and learn about nature and agriculture. By supporting local farmers today, you can help ensure that there will be farms in your community tomorrow, and that future generations will have access to nourishing, flavorful and abundant food. Local food supports local farm families. With fewer than one million Americans now claiming farming as their primary occupation, farmers are a vanishing breed. Local farmers who sell direct to consumers cut out the middleman and get full retail prices for their food- which means families can afford to stay on the farm, doing the work they love and sharing their harvest with its customers directly. Local food preserves open space, supports a clean environment and benefits wildlife. When you buy locally grown food, you are doing something proactive about preserving the agricultural landscape. A well-managed family farm is a place where the resources of fertile soil and clean water are valued. Start Date – The CSA runs for 24 weeks, starting in early June and running through mid-November. Share size/cost – We offer one share size that will contain approximately 6-7 items a week and cost $550 ($22.91/week) You will receive a weekly newsletter via email notifying you what veggies will be in the share for the week, what is going on at the farm and recipe ideas. Media - Wednesdays from 3pm-7pm pick up at 121 N. Edgemont St., Media, PA 19063 or 209 Walter Dr., Media, PA 19063. An email will be sent out each week listing what you will receive with the option to choose part of your share. These selections will get emailed back to us and your box will get packed with your choices and be labeled with your name. *CSA members will receive 10% discount on any produce purchased at the Media Farmer’s Market and any other additional markets we attend. Spring/ Early Summer (May - June) - Arugula, lettuce mix, lettuce heads, spinach, swiss chard, kale, broccoli raab, broccoli, cabbage, carrots, beets, radishes, salad turnips, green garlic, fennel, snap peas, herbs(parsley, cilantro, dill), with summer squash, green beans and cucumbers starting to produce in late June. Summer (July – September) - Tomatoes, peppers, eggplant, cucumbers, summer squash, carrots, beets, cantaloupe, watermelon, basil, green beans, garlic, onions, swiss chard, potatoes, head lettuce. Fall (October – November) - Arugula, beets, broccoli, cabbage, cauliflower, swiss chard, kale, collard greens, broccoli raab, spinach, carrots, beets, salad turnips, radishes, lettuce heads, salad mix, mustard greens, spinach, potatoes, sweet potatoes, garlic, onions, winter squash. A native of Western Pennsylvania, Justin Donaldson grew up with a green thumb and has had a love for the earth that has spanned his entire life. Justin’s career as a farmer blossomed on a farm just outside of Pittsburgh where he trained as an apprentice. Justin and Karen later relocated to the other side of the state and settled in Media, PA. 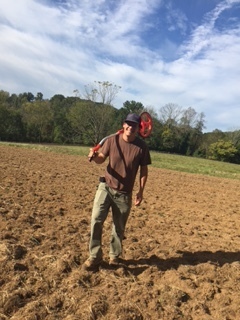 Here, he continued to hone his farming skills while managing the growth and expanded development of Hillside Farm CSA. 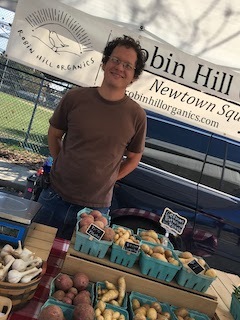 These farming experiences, a strong entrepreneurial spirit, and his passion for farming have led him and Karen to realize their vision with the creation of Robin Hill Organics. © Robin Hill Organics. - Design: HTML5 UP.